Regular Rate $1696 . Today Only $329! Celebrate the spirit of Los Cabos, immersed in Baja's spectacular beauty, at Solmar Resort. Pacific ocean views and rolling waves welcome you to a setting perched along the coast. Majestic granite cliffs shelter the resort from the outside world, while the sights and sounds of vital Cabo San Lucas wait just a short stroll away. Seek solitude in spacious, suites with full kitchens, and balconies overlooking the Pacific. 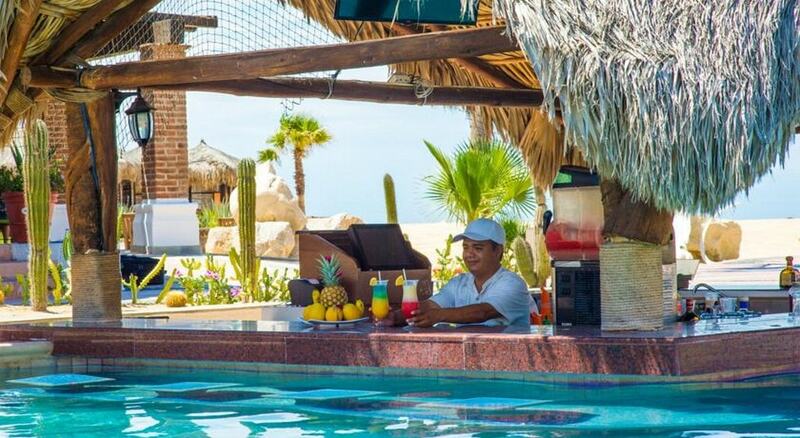 Submerge yourself in refreshing pools and sip drinks at our swim-up bar. Blissful spa experiences invite you to channel the spirit of Cabo San Lucas and find your balance. 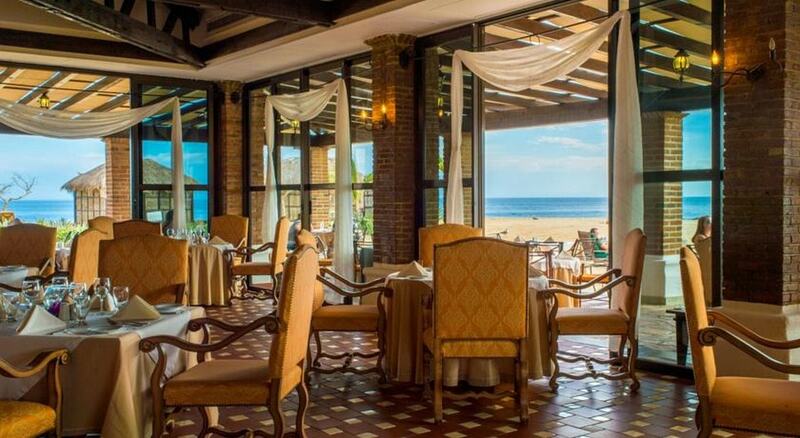 Savor authentic Baja cuisine in our restaurants. Whether you find yourself seeking adventure, relaxing on beautiful beaches or playing in the turquoise waters of the Pacific. You should be here. I stayed over Thanksgiving in a room with an incredible view of the beach that was quiet, spacious, and clean. The pool and swim up bar was great and the service was never slow. There's a great semi-private beach which we loved The staff was always helpful. I'll definitely be back. Enclosed by the majestic granite cliffs of the coast, Solmar Resort offers unrivaled privacy and tranquility at Land's End. In spacious suites, featuring kitchenette and all the necessary utensils. Air conditioned, king bed and queen sofa bed sleeper, in room safe, telephone. Our suites are your personal paradise in Baja. Fresh, local and seasonal cuisine is available in abundance at the Solmar Resort's spectacular restaurants and bars. Enjoy prime steaks, nouvelle Mexican, traditional American favorites and fresh seafood harvested from the neighboring Pacific. Relax with a tropical drink from one of our swim-up pool bars or share fine wine or specialty cocktails with close friends in our stylish lounges. Innovative, inspired cuisine is part of your luxury experience at our Los Cabos resort. Make your escape and taste the bold flavors of the Baja coast, while enjoying a melting pot of authentic regional and local culinary experiences. 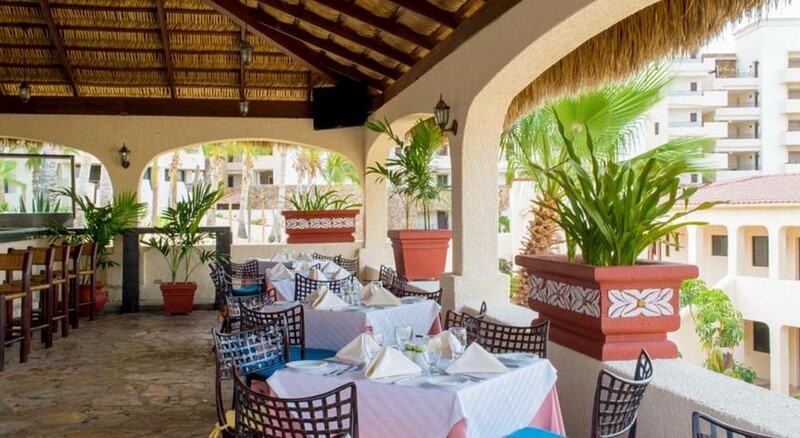 Enjoy delicious club sandwiches, shrimp enchiladas, barbecue ribs, beef nachos and chicken breast stuffed with shrimp at our inviting Los Cabos restaurant. Relish shrimp burgers, crunchy fish fingers, delectable nachos, chicken wings, crispy onion rings and savory barbecue ribs at our Cabo San Lucas restaurant. 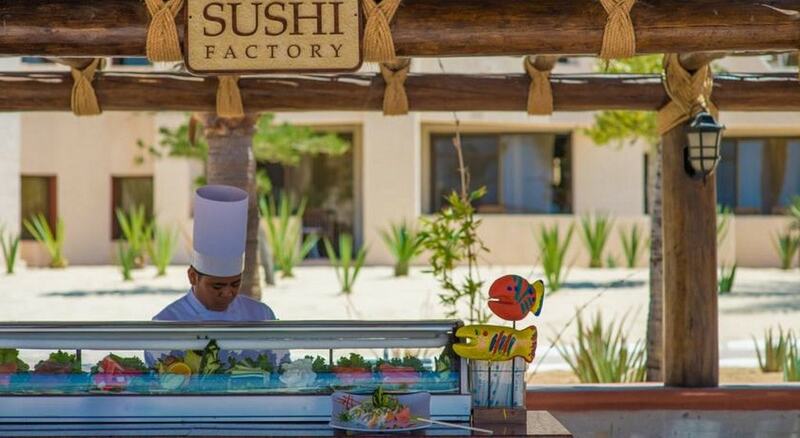 Enjoy spicy tuna, Camaron and cangrejo rolls and other fresh offerings from an outstanding menu of popular classics and unique pairings at our Cabo sushi bar.. Enjoy dazzling views of the Pacific Ocean, along with enticing snacks, gourmet burgers and a fine array of specialty drinks at our swim-up pool bar in Los Cabos. "Great Hotel for our Trip to Cabo San Lucas"
We stayed here and opted out of the all inclusive option. We did still get free breakfast which was convenient before we would go on our adventures. The breakfast was nothing special but did the job and was satisfying. Our room was gorgeous with a great view. It had two bathroom which was amazing. Bed was great. The room also had a full size fridge, stove top, microwave and most utensils and dishes you would need. This was great for making lunch and storing snacks during our stay. This resort was a quick walk to the marina and the cab ride to most places was under 12 dollars. You could even walk from the hotel to the beach on the Pacific Ocean. The ocean was beautiful. We loved our stay. I stayed over Thanksgiving in a room with an incredible view of the beach that was quiet, spacious, and clean. The pool and swim up bar was great and the service was never slow. There's a great semi-private beach right behind the property as well. The staff was always helpful and we were never pressured on any of the timeshare presentations. I'll definitely be back. We had a room with a view of the ocean facing towards sunset. Even though sunset behind the rock jetty it was still beautiful to watch each night as the sky lit up with beautiful colors of orange, pink, and red. Even though the resort is older, they have done a nice job with renovations. We had a spacious one bedroom with two full bathrooms. This resort was first I've visited in Mexico where the timeshare reps were not pushy. They accepted that we declined the invitation for a presentation and that was the end of it. Many resorts don't let up until you accept or until you've reached the day before you leave. I'll be back to this resort in the future because of this and the nice layout of the rooms and resort. Beautiful suite with wrap around balcony. Contemporary decor. Woke to breath taking view ocean. Fishing boats going out for day...breathtaking sunsets. All staff helpful and professional. We had smoothies at the infinity pool every morning served by Freddie and Carmen. They even remembered our name after first day!! Location was close enough we would walk to marina, dinner, bars. We will be back. I've been restored! The room service was as good as most Marriott's! Also, Dony did an awesome job with water aerobics every day, which helped us not gain weight. The food was really good! Loved the quiet surroundings with very few children. Always have a great time here, they upgraded our room again which was nice. The food and service is always good they want to make sure your having a good time. This was our fourth trip here. Nefi who brings you food and drinks by the pool is the greatest. The construction is all finished and that made everything better. Look forward to coming back again. We had a wonderful time, the staff at Solmar were very kind and,helpful. We have had a 20 year time share,many new buildings such as the Grand Solmar, we love the original. Perfect weather helped make it paradise every day. "great location and beautiful property!!" "Sun, Fun, Relax and PARTY!" 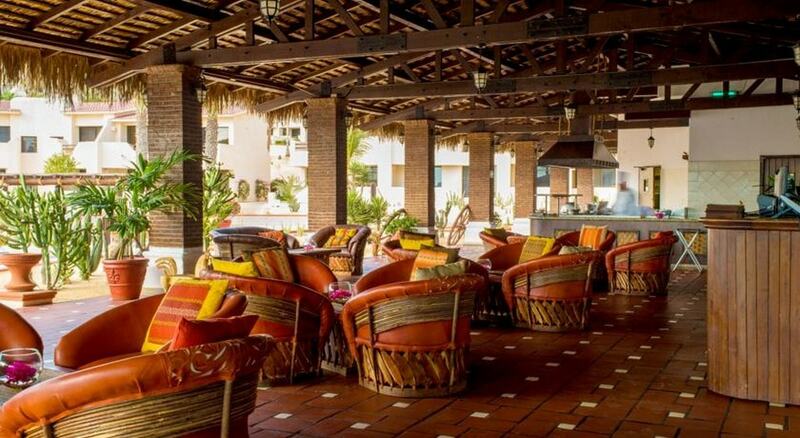 The Solmar in Cabo San Lucas has it all. Best of fun, relaxation and an endless party. The Solmar Resort was a beautiful destination resort keeping with that traditional Mexico charm. The food was excellent and the swim up bar in the pool could not have been any more fun. The room was spacious with a living room kitchen and 3 balcony's with views to die for. The staff are kind and EXCELLENT. The pools are real nice. The rooms are very spacious and nice. I would definitely go back and stay here. The marina is walking distance from the hotel. Grand Solmar is for couples in my opinion. Its a pretty quiet retreat but over all I would give it a A+. "Welcoming and super place to stay"
This was our second time coming home to Solmar. My husband and I liked it so much the first time, that we had to come back. Some times, a second visit is not as good as the first. This was even better. It exceeded the first time and the first time was great. Specifically, it is a good resort for all ages, all nationalities and all types. We did the all-inclusive as we did the year before. Three fiestas were presented during the week we were there. Very enjoyable! There are two pools and the upper pool is more quiet for some visitors. The food, service and staff are the best. Visitors can walk to town, but it is a taxi ride away from town, but we have seen enough in our many years of coming to Cabo. We stayed at the resort the entire time. It is an encouraging environment and the staff are knowledgeable about all phases of help. I cannot say enough about the kind and caring atmosphere that I experienced here. Try it! You will like it. I just returned from a girlfriend's getaway. The Solmar Resort made it a perfect getaway with their wonderful staff, beautiful and large rooms, happy hour by the pool, and overall ambiance!! The resort is within easy walking distance to the old town and marina, which made it really handy since we didn't do the all inclusive and we walked to town to try various restaurants. Every staff member we encountered was so friendly and helpful, we felt like part of the family. This hotel was amazing! The staff was friendly and willing to accommodate all the time. The pools were relaxing and the swim up bar was so much fun. They have a 2-1 happy hour with great drinks. I indulged with a massage from Blanca which was one of the best massages I've ever had. The prices of this hotel, food, and drinks are on par with most of Cabo. I highly recommend this property. Great staff very friendly. Did a great job. Had many different services to offer. Facilities were very clean and comfortable. Rates were good. The view of the ocean right there in front of you was outstanding and the sound of the ocean very relaxing. We booked five days at the Solmar as part of a Hotwire offer......we stayed at another resort the first week, and came into Solmar from a Saturday to Thursday package....the Hotwire offer included the American breakfast each morning and was very well presented with table delivered fresh fruit assortment, fresh squeezed orange juice, coffee, eggs of choice, hash browns, and toas...very tasty, seasoned very nice, and more than enough to get us going for the day. We enjoyed the lower ocean front pool with pool bar, as well as the upper pool with nice size casual restaurant to enjoy as well and service from the bar for food and drinks.... Grand Solmar has completed their construction, thus opening up the Solmar reception area with three conseige service desk to assist in any plans for booking outside the resort...everyone wa friendly, kind, courteous, and helpful in marking our stay so pleasant. The rooms are very clean, and serviced everyday...couldn't ask for any better service from the smaller original resort...bathrooms are a little dated, but "classic" to the era of construction...towels changed daily as well, with all floors moped daily as well... closet were about six foot with pull out cabinetry on one side for storage. More than ample space. Nice size patio and wonderful view of the ocean. Grounds are meticulous and again maintained on a daily basis.. their staff works so hard each day and take such pride in the Solmar Resort.. We took advantage as well of the sister resorts for dining at the Grand Solmar and also the Mexican Fiesta at Playa Grande... between the three resorts, it was a wonderful and fun filled five days there. Thank you to a combination of incredible resorts and excellent staff... we're heading back in May to the Grand Solmar and bring family with us. Thank you again Solmar for a wonderful stay! See you next year! We had a very nice two weeks at this resort. All the staff goes out of their way to make you feel welcome and have a nice vacation. The grounds are well maintained and very pretty. We enjoyed the food at the pool and Sports Bar. The breakfast is very good in the LaRocca restaurant. Beautiful place. Rooms have been upgraded. Wonderful pools. Clean. Friendly service. Stayed here with my husband. We had a fantastic time. I have no complaints about this hotel. It's quiet and . Regular Rate $ 1696 . Today Only $329!